It’s easy to add natural, shredded chicken & duck, minced beef, and wild-caught salmon, tuna, mackerel, sardine, and shrimp to you cat’s diet. Serve as a high-protein side dish, kibble enhancer, or snack – your cats will absolutely love it. Fuel their inner-athlete! Refer to all 6 recipe pages for Ingredients. Refer to all 6 recipe pages for Calorie Content. 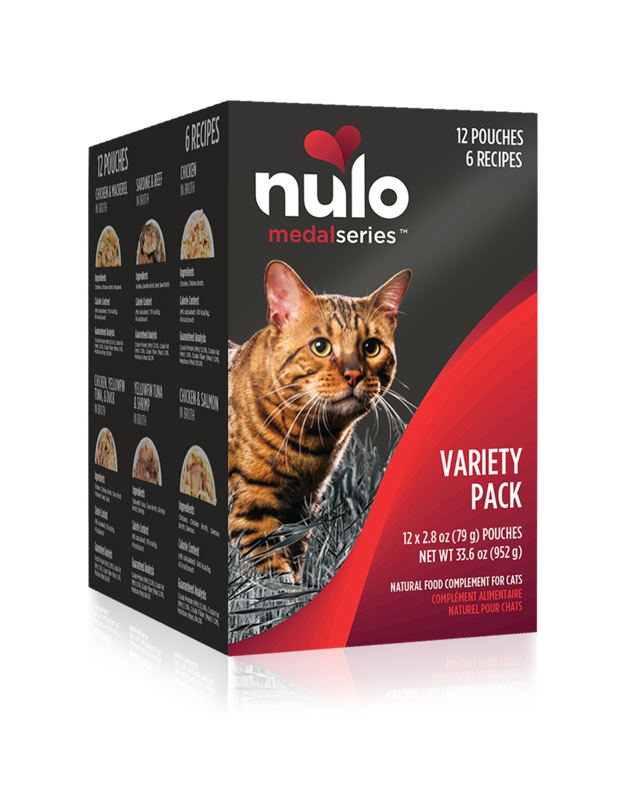 MedalSeries Cat & Kitten Variety Pack are intended for intermittent or supplemental feeding only. Refer to all 6 recipe pages for Guaranteed Analysis.